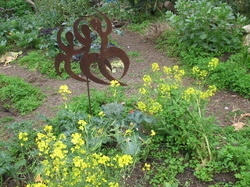 Urban Edibles utilizes the principles of permaculture in residential landscape design. Permaculture is a design system geared toward long-term sustainability and the conservation of natural resources. Through careful observation and planning, our urban landscapes can be productive and beautiful outdoor spaces we can enjoy without depletion of the natural environment or the introduction of harmful chemicals. Nature provides checks and balances for pests and diseases—by tapping into her wisdom, we can create landscapes that mimic ecological systems and reduce the need for harmful inputs. Permaculture design works with the natural balance of ecological systems to create healthier and more efficient landscapes that are also sources of great beauty and harmony. · Edible food gardens that incorporate a wide variety of plants including annual vegetables, herbs, fruits, berries, perennials, vines, root crops and more. 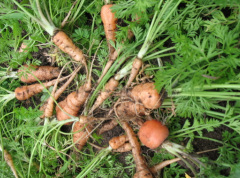 · Increasing food production in existing gardens by adding vegetable and herb gardens. · Habitat gardens that provide beauty as well as food and shelter plants for butterflies, birds, bees and other important pollinators and beneficial insects. · Native plants and other features that maintain and encourage natural and harmonious relationships in our gardens. · Low-maintenance landscapes which are beautiful and sustainable. · Container gardens, vertical gardens and other designs for limited space. · Gardens that provide for their own needs over time: increasing soil fertility, producing mulch, improving water holding capacity and conservation, balancing soil and insect life and more. · Problem solving designs to correct imbalances such as gopher problems, excessive wind, poor drainage or damaged soil.